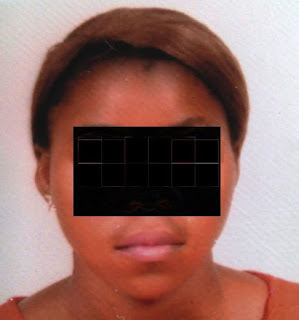 Jessica Beer, a 19-year-old female student of Dyege Memorial College, Akpehe, Makurdi, Benue State, on Wednesday committed suicide after her boyfriend, identified simply as Labi, impregnated another girl and subsequently dumped her, PUNCH reports. The report stated that a close friend of the victim said that Beer killed herself because she loved Labi and could not accept that she had been jilted. “My friend had brought a sharp knife the day before the incident to my house. She said I should follow her to her boyfriend’s house, threatening to deal with him. But I advised her not to take the law into her own hands. When I went to see her the next day, I met Jessica (Beer) on the floor, vomiting blood and I quickly raised the alarm,” the source said. The victim was rushed to Yiman Hospital, where doctors certified her dead. Atser Terkimbi, the Chief Nurse at Yiman hospital, where the victim was rushed to, said that when the victim was brought to the hospital, she was foaming at the mouth as a result of the substance she took, which later claimed her life. The proprietress of the school, Mercy Dyege, condemned the news, adding that this is the first time such incident will occur in the school. “My teachers always pray with the students and teach them the words of God, especially the female students. I also told the girls that when they put their minds on their studies and complete their education, men will look for them. This kind of incident has never occurred in my school and I condemn this behaviour in strong terms,” she said. “Jessica was a beautiful young lady and in our last prize giving and graduation day, she contested for ‘Miss Dyege’, organised by the college, and won the crown. So, she killed herself at a time she was about to fulfill her dream in life. May her soul rest in peace,” said one of her teachers, Timothy Tyoyange. Vanguard reports that an eyewitness and neighbour of the deceased said that she was pregnant for Labi, a pork seller at the popular Wurukum Market in Makurdi. “Before her death, we suspected that the girl had been in a relationship with one Labi, but we did not know until now that she was pregnant for him,” the source said. The source added that Labi dumped the deceased for another girl, whom he had also impregnated and promised to marry. The state Police Public Relations Officer, ASP Moses Yamu, confirmed the incident, saying that “Investigation has commenced. I advise other students to desist from such acts.